Eugenie Bouchard didn't qualify for the WTA Finals this year, and now she's got some time off. Having first spent a few days in Germany, Bouchard is now vacationing in Ireland with family. As she is of Irish descent, Bouchard has met with relatives during her travels and taken in the local landmarks. 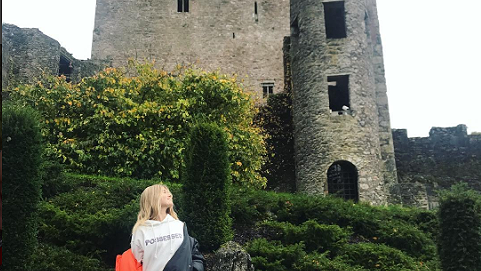 On Tuesday, she even went to Blarney Castle and kissed the famed Blarney Stone. Legend has it anyone who kisses the stone -- which requires one to essentially lie backward and extend their head off of the castle while holding on for dear life -- will be blessed with the gift of gab.